Journals should be an important aspect of every writer's life. In fact, it is primary because of a journal that horror author, Chris Mentillo began showcasing his real-life experiences, and inner emotions to the world which plagued him for so many years through his nightmares. This gave him the ideas he needed to share his experiences to the masses into literature book form. This is where it all began for him. Perhaps the same may hold true for you. Here on this page, you will find exclusive writer's journals of high-quality. Use these wonderful writing tools for writing down anything you wish. Take it with you - on the road, in your house, at work, at your friends house, in your man-cave, at your office, on vacation, or wherever you want. These awesome high-quality horror journals consist of dark image inputs of various horror books, written by award-winning, and best-selling horror writer, Chris Mentillo. In some cases when ordering your book, you may be surprised to find a signature autograph signed somewhere inside from, Chris Mentillo. Unfortunately, not all journals are signed. Nevertheless, Chris loves to surprise and shower his family, friends, and fans with free gifts too. So if you are fortunate enough to receive a journal with one of his real signed autographs inside, in addition, you will also receive one of Chris Mentillo's free eBooks of your choice. However, this exclusive offer is only valid through individuals who are subscribed to our new HorrorPublishing.com newsletter. In general, it is a good idea for you to either create a free account now on our website and or subscribe to our free newsletter. This way here, when after you have created your account and subscribed to our new newsletter, you will be able to benefit from receiving awesome free goodies for which only account members and newsletter subscribers like yourself will benefit from and enjoy. Note: Free gifts found inside some of these products may extend out to be different valued goods other than electronic books. For example; when you order a journal from our website here at HorrorPublishing.com you may receive instead real substantial cash inside your book. Before this will occur, we will make note of this free product giveaway change ahead of time here on this website page site. Changes may be made every week, every month, or every year depending on the free product giveaway being promoted at the time. The best writers are often avid readers who read book after book, absorbing all they can from their favorite stories. But whether you read regularly or less frequently, odds are you won’t remember every detail of every story. A reading journal will allow you to revisit reactions you’ve had to books you’ve read and use this information to inspire your own writing projects. 1. Creativity is often triggered by something that we encounter. When an idea pops into your head mid-reading, writing it down will ensure that you remember it when it comes time to write your own story or poem. 2. Keeping a reading journal encourages you to actively read and question what the writer is saying, rather than just passively accepting it. 3. If you’re in a book group, you’ll be better able to discuss the books and offer insights that others may have overlooked if you have notes to jog your memory. 4. Reviewing your journal will help you discover what you consistently like—and don’t like—in the writing of other authors. This knowledge will guide you in developing and improving your own writing style. 5. A reading journal will help you quickly scan through summaries of the books you’ve read so you can revisit those that are relevant to your current project. How Do You Start A Reading Journal Or Diary? It’s easy! Purchase a special journal or designate a section of the journal you currently use to log each book you read. Your reading journal can reveal aspects of your reading and writing habits that you might not have been aware of, and assist you in honing your craft. Plus, the next time a friend asks for a book recommendation, you’ll have the answer right at your fingertips! 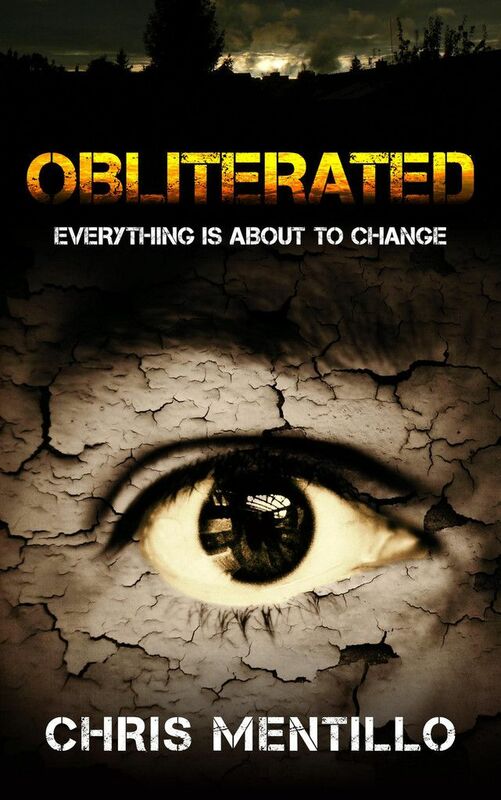 Buy OBLITERATED: EVERYTHING IS ABOUT TO CHANGE "HORROR JOURNAL."